fitness – Page 2 – Straight from NY to Paradise in a Day!!! Just so you know I am not a runner. In fact I really hate running. When I was a child I despised running, in high school I wanted to play basketball so I was forced to run. Finally, in my adult life I love to workout, but running has never been my workout of choice. With that said, I must tell you that I decided to get up take on the challenge and run. Not only run, but actually complete a full running event consisting of 8.15 miles. A run that I thought I would never do, turned out to be a run that I can not wait to do again. I did it, I completed the Great Aloha Run. Every Year on President’s Day, what seems to be like all of Honolulu and then some, come out to run The Great Aloha Run. Thousands of people gather together to run from Aloha Tower, to Aloha Stadium (the site of the NFL Probowl). This year I was fortunate enough to be one of those people. I must say I decided to run with some hesitation. Up until today I never ran more than 3 full miles, so how did I think that I would be able to do 8? To make matters worse my friend who had signed up to run with me came down with the flu a few days before race day. Up until the last hour I did not think that she would be able to make it. However, this girl was a pure trooper, she came out to run still feeling under the weather. Although I could not find her until the end of the race due to the massive crowd, I was impressed that she actually ran and finished in an impressive time with flu like symptoms. Today the whole state of Hawaii came together just to run. From babies in strollers, to the elderly, military and civilians, all were out running. Overall the experience was great, and I am ready to keep on running. I will continue to practice my running so I can stay in shape, and hopefully acquire a love for running. Would I do a full marathon? Well probably not, I get bored easily. But I would go a longer distance. Next challenge, preparing for a half marathon. Yeah now lets see how that goes. Bikram Yoga: I wonder if this is what Hell feels like? I recently started practicing Bikram Yoga. I must say that it is awfully hot in that room. Yoga in a room that is at least 100+ degrees may not sound too appealing at first. It is actually kind of crazy when you think about it. 90 minutes in a room of pure heat and sweat. Not only your sweat, but watching other people sweat also. Lesson 1: You must be comfortable with standing in your own sweat! All while trying to focus on yoga poses. Crazy, Yes! But since I have come to realize that I am anything but sane, I put my mind and body to the challenge and signed up for Hot Yoga! Now don’t get me wrong, you will survive the yoga room. It is hot, but bearable. As long as you don’t have heart problems you should be good to go from start to finish. Lesson 2: You probably will feel sick, light-headed, nauseated, and want to just want to run out of the room. But don’t run. Stick it out. Challenge yourself, you will defiantly be surprised how soon the 90 minute class is over. While I was living in New York I had wanted to try Bikram Yoga. I thought it would be good to do in the winter while it was freezing outside. At least I could be overheat myself for 90 minutes while there was snow on the ground. I never got around to going in NYC, so when I found a studio in Hawaii, I figured why not try it out. Initially I had only wanted to try it out for seven days and then I would be done. But soon that seven days turned to thirty, and then those thirty days turned into just having a full on membership. Yes I must admit I am addicted to torturing myself with Hot Yoga. I enjoy standing in a heated room that feels like it can be a version of Hell on earth. Or actually, Hell may be just a few degrees cooler. Anyway oddly enough I like it! 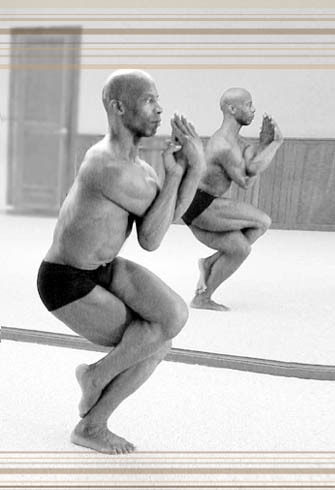 Three days out of each week I choose to stand in 90 minutes of heat, repeating the same 26 poses, hoping just to stretch just a little bit further, lift my leg a little bit higher, and balance for just a second longer each time. I see progress and I love it! So is Bikram Yoga still torture, Yes, most days it is. It is HOT! Drink lots of water! But the plus side is that it is also fun. It is a mind-body challenge that is an experience all in itself. It helps my muscles to relax, and it helps me to focus on getting better with everything I do in life. What more can I ask for. So bring on that 90 minutes of heat! I am ready to push harder, bend further, and go longer! Hawaii- The state where a Gym Membership is not needed! The best part to living in Hawaii…Not needing to have a gym membership! No matter the day or time you can always find a way to do a free workout. It is either right in front of your face, or you can create your very own. So for those people who love to workout, but there is no gym budget, In Hawaii you can stay fit and keep money in your pocket at the same time. I think Hawaii is the best state to workout in, you can workout year round and, avoid the hostile heat waves or frigid cold that may prevent you from wanting to go workout outside. In Hawaii no equipment is needed! Just you and your desire to stay in shape. The scenery is beautiful, serene, movie like. It is an experience that most people can only dream of. You can always run on the beach close to the ocean to add intensity, or take a run on the concrete. The favorite is hiking up the human stair master otherwise known as Koko Head. Walking up those 1000+ stairs is sure to give you a good workout any day! Walking is never a problem if you are looking for a low-key workout, and if you are adventure go for a hike in the mountains with amazing postcard like views. Hiking is sure to give you a full body workout as you will feel each body part hurt the next day. Trust me I know. If you want to change up your routine and go for a swim, the ocean is always available. Paddling will give you a great back and tone up those arms, and surfing will force you to use every part of your body. For the athlete in you, beach volleyball is always on whenever the sun is out. Try heading over to the beach just to play, with the spirit of Aloha of course they will let you play! If you don’t like working out alone and are looking for that group motivation, there are many beach boot camps around at low cost. Nothing like an intense beach workout to start or end your day! On the island there is practically a group for every type of workout, and new ones pop up on a daily basis. There is even FREE Yoga at sunrise! So do you need to be confined to the walls of a gym with the hard body types to get a good workout? Nope! Just take a stroll outside.